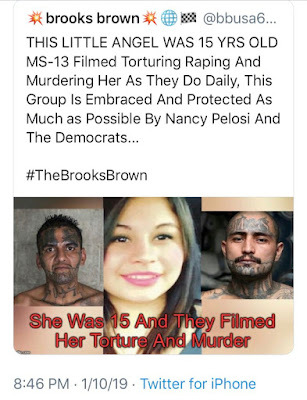 You are currently browsing the archives for the MS-13 category. Rep. Adam Schiff, D-Calif., chairman of the House Intelligence Committee, also said that his panel would do “what’s necessary to find out if it’s true” that Trump had directed Cohen, a longtime loyalist and fixer, to lie to Congress about plans for a massive Trump Tower in Moscow. “The allegation that the President of the United States may have suborned perjury before our committee in an effort to curtail the investigation and cover up his business dealings with Russia is among the most serious to date,” Schiff said in a late-night tweet Thursday shortly after the BuzzFeed story posted. The Washington Post has not independently verified the report, on which congressional Republicans have largely remained silent. While Democrats gear up for fake investigations into imaginary crimes, little girls like this one get brutalized. Prior to them getting their majority back, Marie Harf repeatedly told us that “Democrats could walk and chew gum at the same time”, meaning they could investigate and legislate at the same time. Thus far, they’ve failed at both. It’s time to restore Republicans to the majority in the House so we can return to getting important things done. 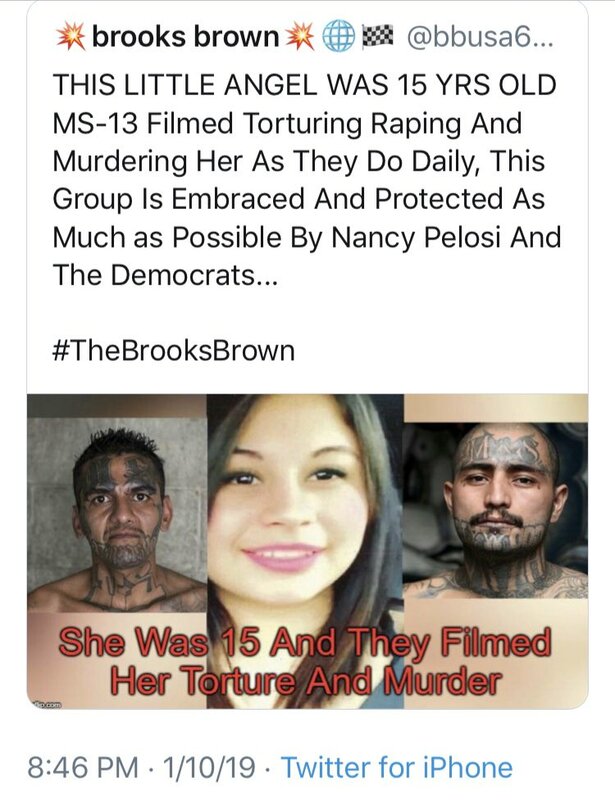 Important things like getting the economy straightened out, reducing regulations so small businesses have a chance at succeeding and building the wall so MS-13 can’t terrorize little girls like the one they killed in the above picture. We can’t afford to have a political party in charge that’s this hateful and nonproductive. The Democrats’ highest priority is tormenting President Trump. Thus far, they haven’t done a thing to make life better for Americans. What a shame.